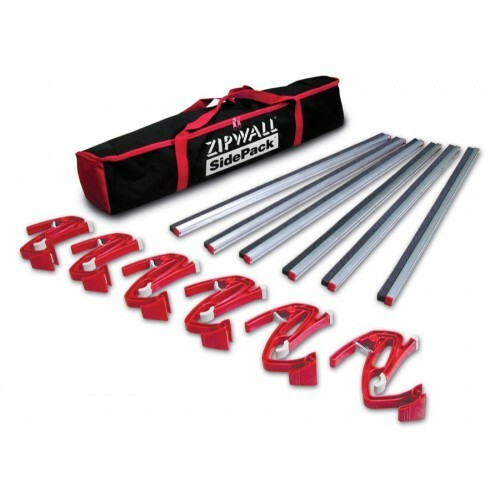 Using the ZipWall® pole next to the wall, the SideClamp™ wall mounts tightly seal the barrier material against the wall by pushing a FoamRail™ cross bar against them both. 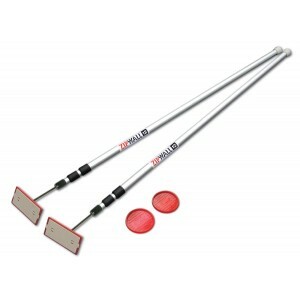 The FoamRail™ cross bars easily snap onto the SideClamp™ wall mounts. 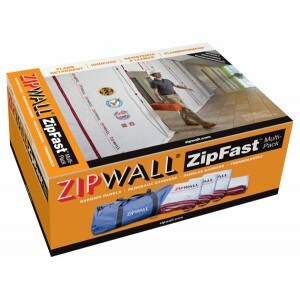 Use with plastic sheeting or ZipFast™ Reusable Barrier Panels. 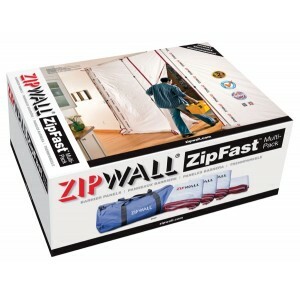 This package has everything you need to seal off the walls (up to 9' hight) at both ends of your ZipWall® barrier. Comes with its own bag and everything is ready to go. Dimensions: 37.75" x 9" x 5.75"